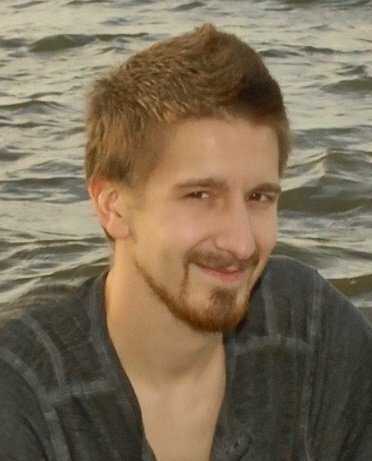 Travis Brandon Bulmer, of Lockport, entered into rest Saturday, December 1st, 2018. Born in Lockport on January 14, 1993. He is the son of Brett and Julie (Ciraza) Bulmer. Travis worked for the NYS Thruway Authority as a bridge operator on the Erie Canal in Gasport and Middleport. Travis was an avid woodsman and had a passion for gardening and gathering from mother nature. Travis excelled with technology and electrical work. He enjoyed creating art, ice fishing, hiking, camping, kayaking, and especially spending time with his family. Besides his parents, Travis is also survived by his siblings Jessica (wife of Kyle Evoy-Bitterman), Tanner, and Shayna; grandparents Guiseppe and JoAnne Ciraza; also extended relatives in the Bulmer, Ciraza, Ritz, and Rehm Families. Relatives and friends may call Saturday, Dec. 8th from 1:00-3:00 pm funeral services immediately following at 3:00pm all in Prudden & Kandt Funeral Home, 242 Genesee St., Lockport. Donations to the family would be greatly appreciated to help fund a scholarship in honor of Travis to help with mental illness and/or drug addiction, or The Western New York Land Conservancy, PO Box 471, East Aurora, NY 14052. Visit pruddenandkandt.com.